1. Start your Skype, choose the Model you want to talk to from your contacts' list and left click on her name. Then, click on "Start translator", as in the photo below. 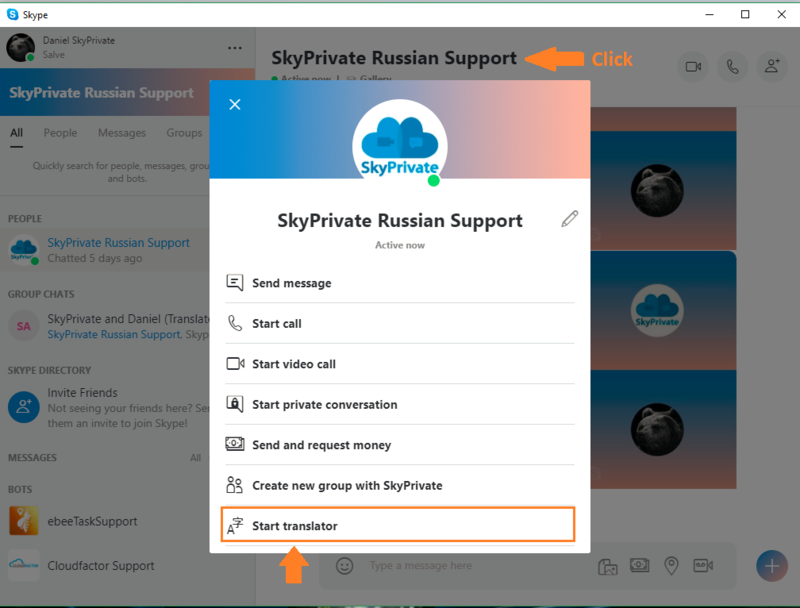 - Skype will translate every sentence the SkyPrivate Model writes, in English. 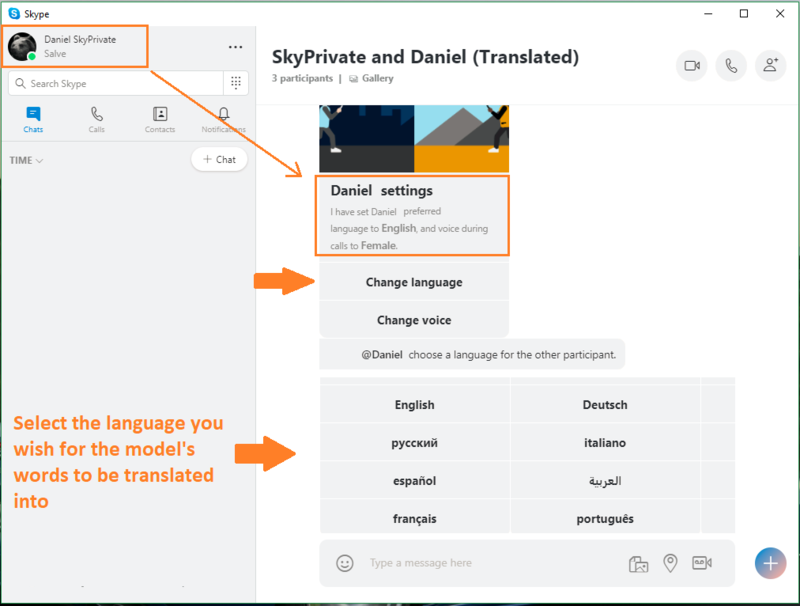 If you wish to change the translated language, click on the "Change language" button. For example, let's say you are a German Member who speaks German and you want to see everything the Model writes in the German language. In this case, go to your Translator settings, click on "Change language" and select "Deutsch", as in the image below. After that, every sentence the Model will write ( in Russian, English, Romanian, Serbian etc. ), will be translated into German for you.